4K TVs have been on the market for a few years now. However, many potential buyers have been unable to obtain a 4K display due to their higher price tags when compared to their 1080p counterparts. As the 2014 model year begins to wind down, prices of 4K TV’s have also been coming down. And as we start the New Year (2015), pricing will continue to fall. LG’s 60UB8200 is one of those displays that has seen a big price drop. As of today, this 4K display can be found for just under $1800. And remember, we’re talking a 60 inch model. I would say this is a very good deal for a quality name brand 4K display. Personally, I have come to enjoy the picture quality and features of LG’s 4K HDTV’s. And the 60UB8200 is no exception to this statement, and is a topic of this review. As I mentioned earlier, the UB8200 features a 60 inch display with a very thin bezel which gives the set a very slim profile and an almost frameless appearance. The depth of this TV is about 2 ½ inches thick at its deepest point; this section of the TV contains two down firing 10 watt stereo speakers. The stand design is one that I’ve seen on other LG TVs and is a simple yet attractive design that doesn’t call a lot of attention to itself. On most of my TV evaluations, I like to test the TV stands for stability. I accomplish this by gently rocking the TV back and forth from the top of the screen. 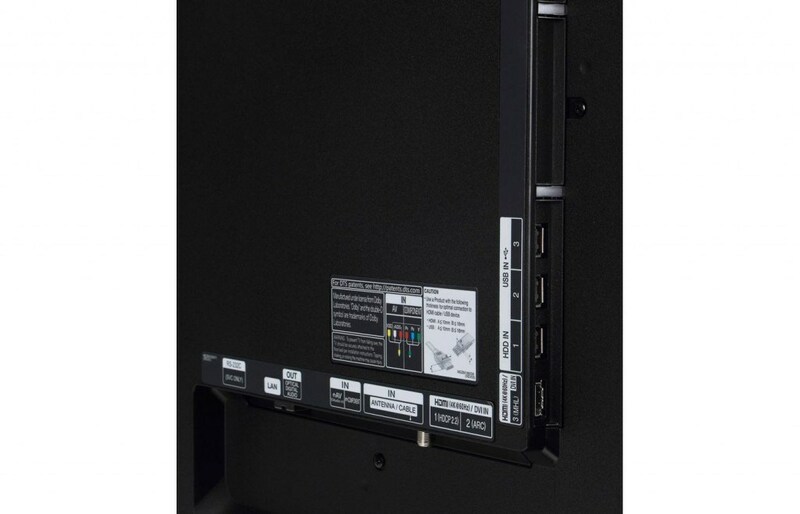 The results for the UB8200: an extremely stable stand design, which will greatly reduce any chance of TV tip-over. The IPS display panel on this set has a matte finish. This type of finish gives the screen a dull look and can sometimes make the on-screen images appear a bit flat. However, it does help reduce reflections. Personally, I prefer a glossy screen, and in my opinion, renders an image with more pop and better perceived contrast. LG is a big proponent of IPS panel technology. This type of panel is known for producing extremely rich and vibrant colors, very fine detail and clarity and provides very good off-axis wide angle viewing performance. On the other hand, the biggest drawback of an IPS panel is their inability to produce deep black levels. I will talk more on this in the performance section of this review. The LG UB8200 features an edge-lit LED backlighting display with local dimming. This type of dimming is not as effective as a display that uses full-array backlighting with local dimming, which places LEDs directly behind the screen for more precise picture control, instead of along the edges of the screen as used in edge-lit LED backlighting. LG’s Tru-4K processing engine upscales all non-native 4K content to near 4K quality. This TV features an HEVC decoder for streaming 4K video content from sources such as Netflix. HDMI 2.0 connectivity is also on board which allows for increased bandwidth support for higher picture resolution and frame rate delivery up to 60 fps. The UB8200 has an Ultra Clarity Index rating of 1080. Which means the UB8200 has very good motion blur reduction performance. 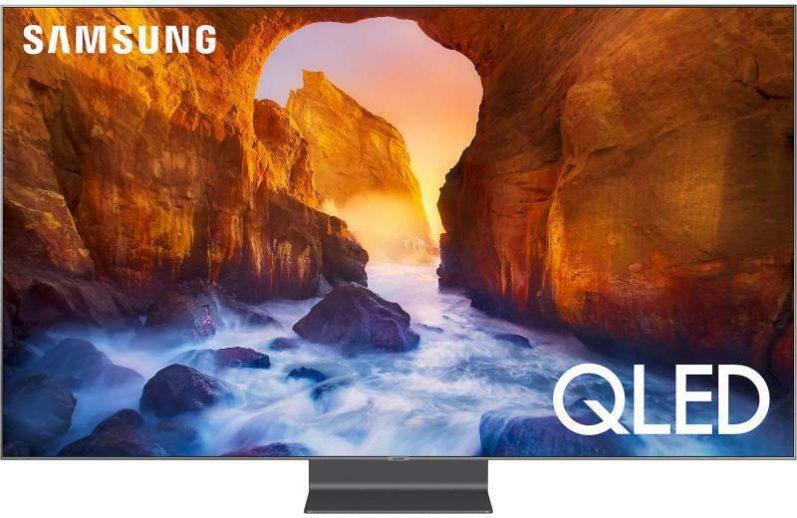 In addition, this TV features a native refresh rate of 120Hz and TruMotion backlight scanning technology to help eliminate motion blur on fast action content and provide better picture quality. Another interesting feature of the UB8200 is the Picture Wizard: this feature lets you adjust the picture quality of the original image. This function offers self calibration on-screen reference points for key picture quality elements such as color, tint, sharpness, black level and backlight levels. I did not test this feature, so I can’t tell you how well it works. 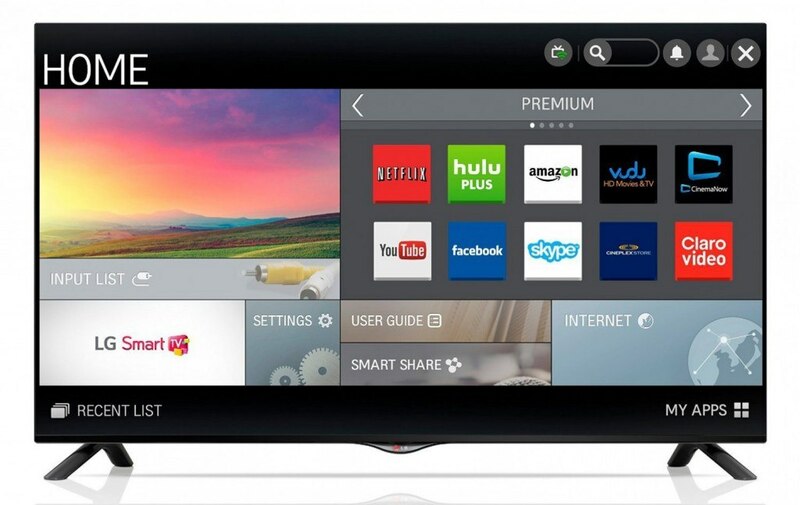 LG Smart TV apps allow you to access a variety of online services and content directly on the TV through its wireless network connection. You also get a built-in web browser for surfing and searching the internet, and Wi-Fi direct capability for a direct wireless connection to the TV using your smart phone or tablet, allowing you bypass your homes wireless network. 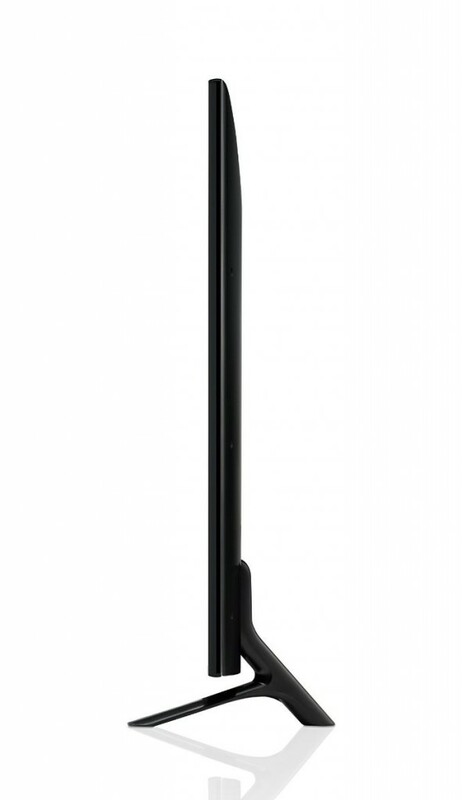 The supplied IR remote control is of basic design with a narrow rectangular design and easy to use button layout. This TV can also be used with an optional LG Magic Remote control. Sold separately. So how does this very affordable for 4K television perform? In two words, very good. The LG 60UB8200 delivers a bright, sharp, detailed and very three-dimensional image. For example, one of the demo clips I viewed showed images of wildlife in an open landscape. Here, the animals appeared very three-dimensional while walking through tall blades of grass. Detail and clarity were excellent in this scene. I could see all the fine detail in the lion’s fur, and all the intricate detail in the blades of grass. I was impressed. Color reproduction was very good: the color palette of this set was very accurate, producing vibrant, well saturated and natural looking colors. Image depth was also very good. For example, I could see lots of fine detail in the landscape foliage deep into the background image of one of the demo clips I viewed. Side angle viewing on this set was very good, thanks in part to LG’s IPS panel technology. I was able to view this display at the most extreme angles with very little picture dimming. Motion blur did not seem to be a problem with this set. On fast action content that I viewed, I could not detect any image blurring. Overall, the UB8200 had very good performance. However, there were a couple of key areas where its performance did suffer a bit. First, deep black level reproduction was lacking. This set could not produce the deep inky blacks I prefer to see and have seen on many other LED-based TVs. In a direct comparison with Sony’s XBR-850B 4K LED UHD 65″ display, the UB8200’s black levels looked a bit grayish. This observation was readily apparent when viewing white text over a completely black background. Shadow detail also suffered on the set. On several dark scenes of the demo content I viewed, shadow detail was sometimes hard to make out and often times obscured. I contribute these setbacks to the IPS panel incorporated into this TV. Personally, I would not consider the black level and shadow detail performance of the UB8200 a deal breaker. On its own merit, black levels are still dark and adequate enough not to severely detract from the viewing experience. I’d also like to mention that overall picture quality of the more expensive XBR-850B was better than the UB8200. 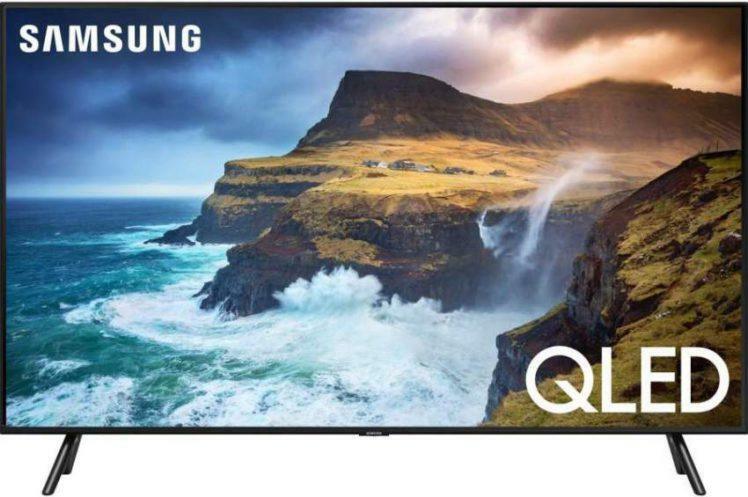 If you have been sitting on the sidelines waiting for 4K Ultra HD TV prices to drop to more affordable levels, I think your wait is just about over. 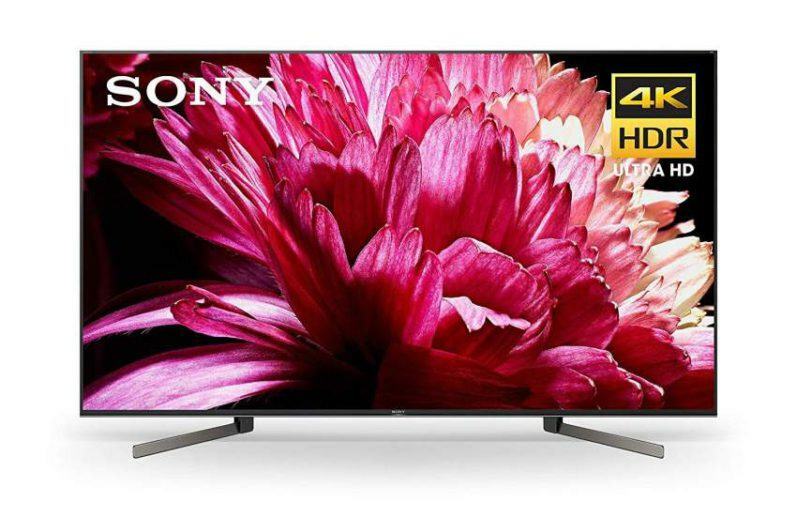 For the price of a high quality 1080p HDTV, you can obtain a name brand and very good performing 4K UHD TV. LG’s 60UB8200 definitely falls into this category. I remember just a year ago, when a 60 inch UHD TV from a name brand manufacturer for under $1,800.00 was unheard of, but now has become a reality. So as this New Year progresses, pricing of UHD TVs will continue to fall, making them a more attractive option for potential TV buyers. However, in the meantime, if you’re thinking about or are ready to purchase a 4K UHD TV at a very good price. I suggest you take a hard look at the 60UB8200. It has a large picture screen, delivers very good picture quality for its price class, and has a nice set of features. All at a price that’s hard to resist. Highly recommended.